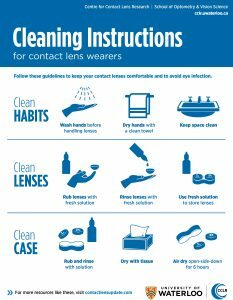 Follow these guidelines to keep your contact lenses comfortable and to avoid eye infection. Unexpected all-nighter and don’t have your contact lens case and solution? Throw them out! Makeup belongs on your face, not your contact lenses! Follow these guidelines to avoid eye infection. With different regulations governing the sale of contact lenses across the world, it’s no wonder some consumers get confused about where to buy and how to care for decorative lenses. 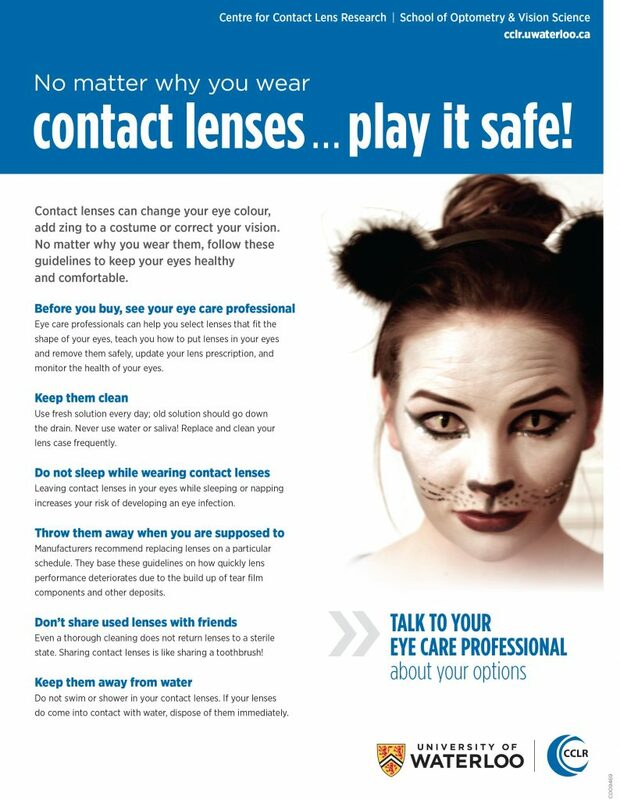 That’s why we developed this information sheet – to help you remind everyone: Before you buy decorative contact lenses, talk to your eye care provider! Are you doing enough to protect your eyes? 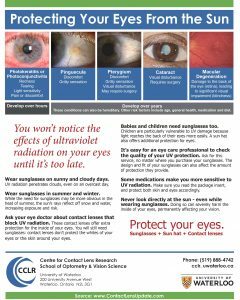 You won’t notice the effects of ultraviolet radiation on your eyes until it’s too late. 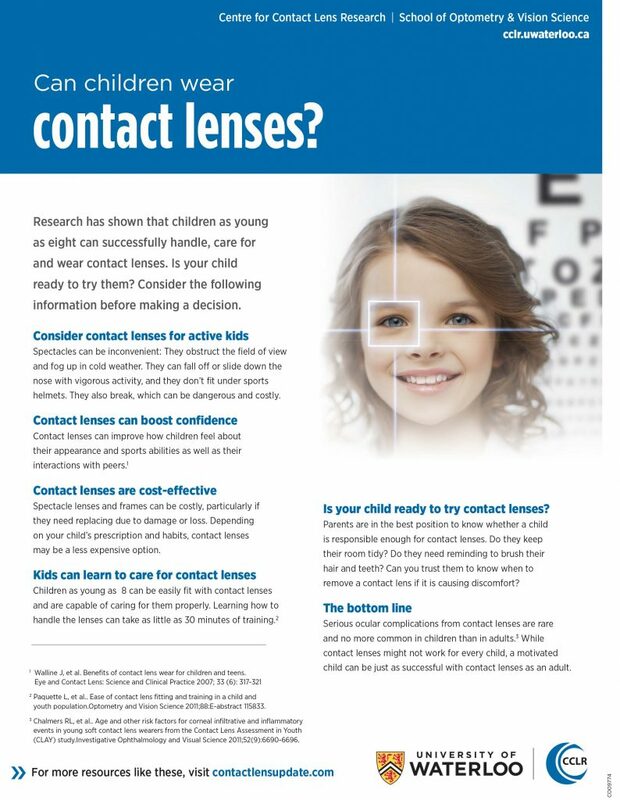 Research has shown that children as young as eight can successfully handle, care for and wear contact lenses. Is your child ready to try them? Consider the following information before making a decision. Inflammation is a key component of dry eye disease and contact lens-related dryness. 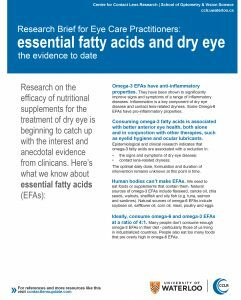 Research shows that Omega-3 essential fatty acids have anti-inflammatory properties and have been shown to significantly improve signs and symptoms of a range of inflammatory diseases.